This version of the 15.4-inch MacBook Pro (model MC721LL/A) features a 2.0 GHz Core i7 "Sandy Bridge" quad-core processor, 500 GB hard drive, and 4 GB of installed RAM. Other features include ultra-fast Wireless-N Wi-Fi networking, Bluetooth connectivity, an SDXC card slot, two USB 2.0 ports, and a FireWire 800 port. It also comes with the Mac OS X Snow Leopard operating system as well as the iLife software suite, which includes the latest versions of iPhoto, iMovie, and GarageBand. This MacBook Pro is powered by a second-generation Intel Core i7 quad-core processor (dubbed "Sandy Bridge"), which provides breakthrough digital media management, content creation, and 3D gaming capabilities. With updated Intel Turbo Boost Technology 2.0, the latest Core i7 increases speed automatically for whatever you're doing, dynamically accelerating performance to match your workload. The MacBook Pro offers excellent graphics flexibility with two video processors--the discrete AMD Radeon HD 6490M processor (with 256 MB of GDDR5 video memory) for heavier workloads and an integrated Intel HD Graphics 3000 processor for better battery life on the go. When gaming or using processor-intensive applications like Aperture or Final Cut Pro, you'll appreciate the power of the AMD Radeon HD 6490M, which lets you see more frames per second and experience better responsiveness. And the automatic graphics switching feature determines which graphics processor an application needs and switches instantly between the processors. 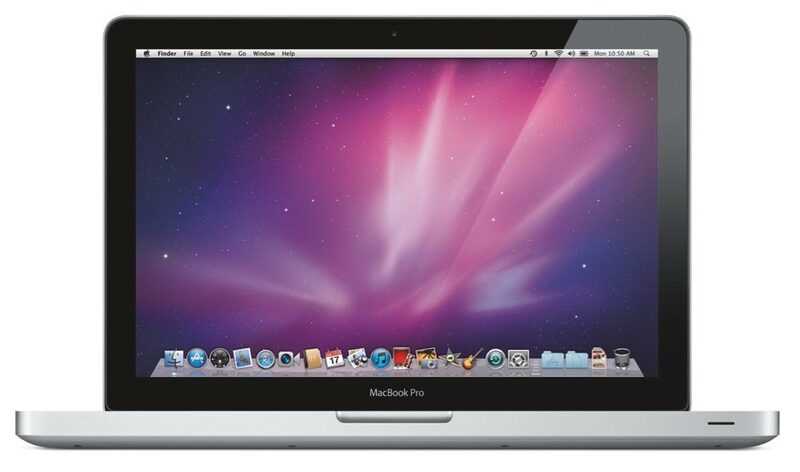 Tell us what you think about Apple MacBook Pro MC721LL/A 15.4-Inch Laptop, share your opinion with other people. Please make sure that your review focus on Apple MacBook Pro MC721LL/A 15.4-Inch Laptop. All the reviews are moderated and will be reviewed within two business days. Inappropriate reviews will not be posted.